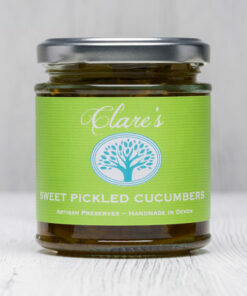 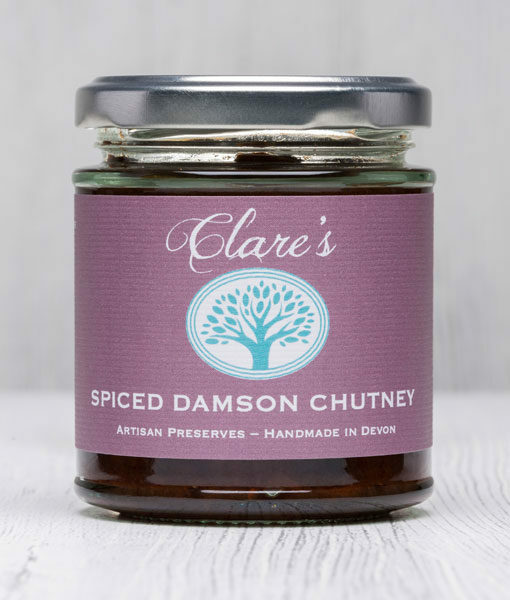 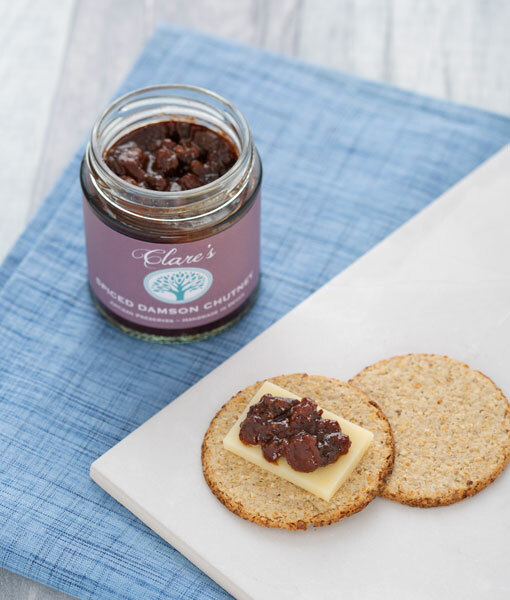 Local damsons are slowly cooked with onions and apples and a blend of spices to produce a chutney that is spicy, sweet and tangy all at the same time. 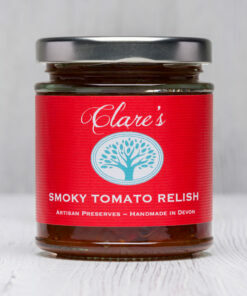 Works well with dry sharp cheeses and cold meats. 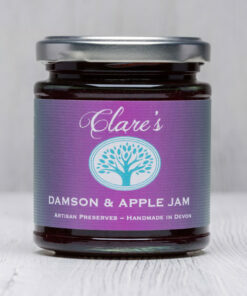 Damsons, cider vinegar, sugar, onions, apples, raisins, sea salt, garlic, spices.